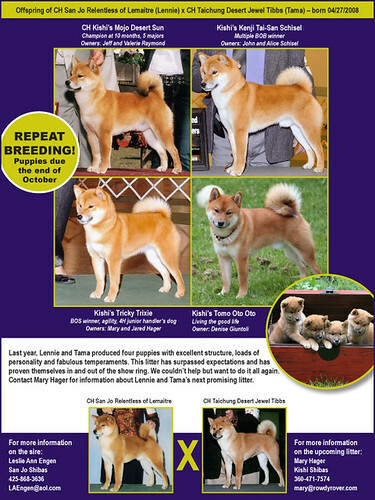 Ad in the Shiba Enews! Tama is definitely pregnant! I ran an ad with all the puppies in it from the last litter. I'm thinking they are a pretty good-looking bunch. And I'm anxious to see the new litter!